Discovering how an application works can be a difficult, expensive undertaking. That’s why architectures based on REST are so popular. The architectural style provides an easy-to-implement interface that allows consumers to use an application productively without having to understand anything at all about its internals. All a developer needs to know to work an application is how to interact with the resource represented by the given endpoint. What’s going on behind that endpoint is another matter. The bad news is that when it’s time to make changes to the application’s internals, things can get difficult. Many times a well-defined interface is hiding a pile of spaghetti code. Sometimes a developer might be able to find an analysis tool that will help make sense of things. Or, maybe there’s documentation that explains it all. But, it’s not unusual for developers to have to bite the bullet and go through the source code and deployment scripts line by line to figure out how the application works. Such work incurs significant expense. Mainframe developers have been solving the problems of application discovery for years. IBM has been at the forefront of addressing application discovery with a comprehensive solution called Application Discovery and Delivery Intelligence (ADDI). 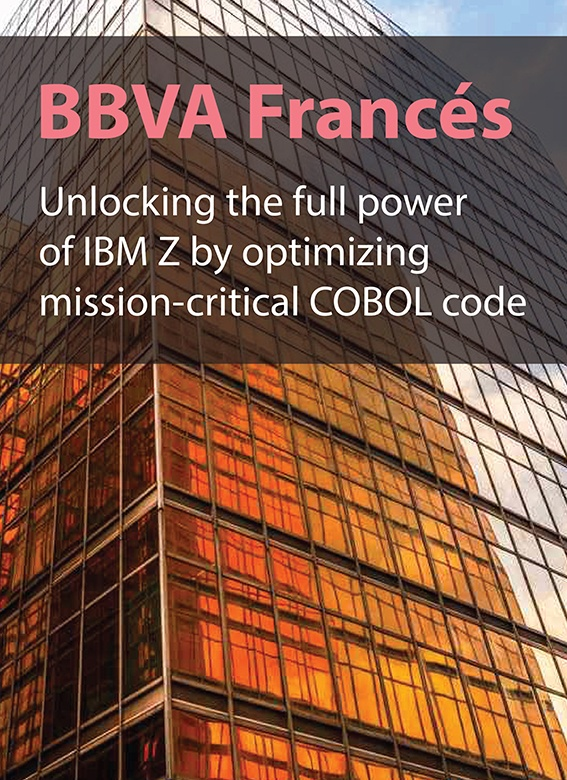 ADDI allows a developer to inspect a IBM Z mainframe application and analyze its performance. Application discovery is accomplished using Application Discovery Intelligence (ADI), which is part of the ADDI toolset. Developers and system analysts use ADI, which integrates seamlessly into the Eclipse integrated development environment (IDE), to discover the assets used in an application and also to determine the dependencies between them once discovered. Figure 1 below shows an example of the ADI graphical interface. The IDE provides a high level overview of the application (1) as well as a listing of its components (2). Developers can drill down to look at details in a central viewing pane (3). The IDE provides a detailed listing of a component’s connections and associations, such as subscriptions to message queues or SQL calls (4). Also, developers can view details about a particular assets, such as a SQL query (5). Having immediate insight into the structure and operation of an application reduces the expense required to improve it. Developers save a lot of time not having to peruse code on a line-by-line basis. Yet, this is only part of the cost-saving. Understanding the composition of an application is an important first step. Understanding how an application performs is essential for implementing improvements. This is where delivery analysis comes in. Ensuring quality service on a 24/7 requires that availability of up-to-date runtime information. A good performance monitoring tool provides the ability to to drill down to determine the cause of an issue. IBM Z provides such as array of tools. Remember, meeting service agreements to specification is and has been a critical activity in the mainframe computing culture. It’s part of a mature business process. IBM Z Application Delivery Intelligence provides mission-critical insights on a drill down basis. As shown below in Figure 2, IBM Z Application Delivery Intelligence Analysis reports a dangerous condition (1). Then, engineers can drill down to view associated metrics (2) and then even deeper, to view a timeline that shows environmental conditions such as response time from the database and CPU time consumption (3). One of the drawbacks of architectures that aggregate heterogeneous systems is that relationships between components become opaque. For example, an application that uses a database service to store and retrieve data has no direct insight into the underlying query behavior of the database service. All that can be accurately reported is the request and response time to and from the service. However, when both application logic and data storage reside inside the same location, reporting details becomes easier. But still, drill-down correlation between systems is still difficult when components are in a common location, such as a virtual machine, yet isolated from one another due to strict encapsulation. Mainframe systems, however, do not have the problem because all components reside in a single location in which access to components is transparent. Thus, cross-component drill-down is easier to accomplish. When it comes to computing at scale, mainframes were always meant to handle multiple users in a high-volume, transactional environment. Mainframe computing does not lend itself to the type of latency bottlenecks that come about when there are racks of commodity PCs operating with with varying degrees of reliability. The hurdle that mainframe computing had to overcome was making it so it could be accessed using standard web-based standards, most notably REST. IBM addresses the problem with z/OS Connect, a technology that allows IBM Z application functionality to be represented by a REST API. 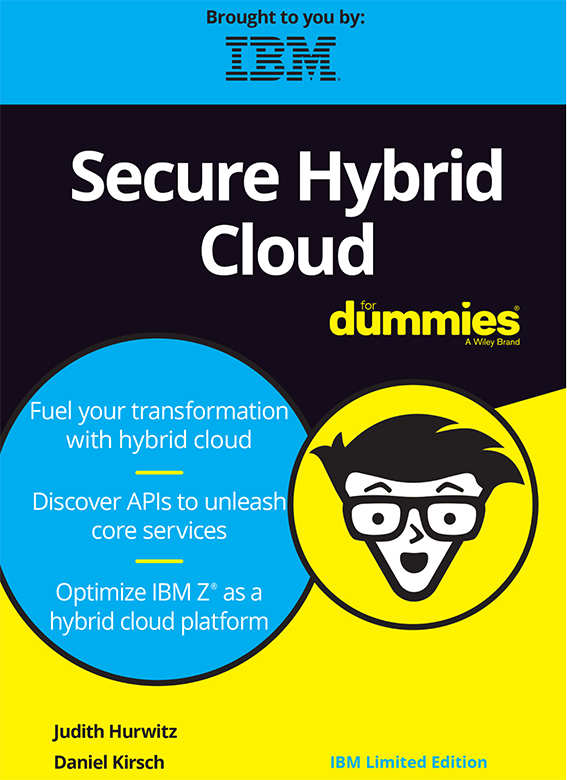 Once a REST layer is added onto an IBM Z system, it becomes just like another resource in the cloud computing ecosystem. And, an IBM Z mainframe computer is designed to be fault-tolerant and highly available. There are IBM Z systems in production that have run without interruption or downtime for decades. Discovering how an application works and ensuring that applications in production meet performance expectations are two of the most important activities in today’s modern enterprise. Application Discovery and Delivery Intelligence provides the tools to meet these needs in the IBM Z cloud computing ecosystem. Using ADDI provides the insights necessary to ensure that service level agreements are met cost-effectively to the satisfaction of all. When it to making applications that matter in a world of web-based computing, ADDI provides an essential value that is difficult to match.